Mary I, the first queen-regnant of England, also holds a unique place as the only woman to have been treated as Princess of Wales in her own right. In 1525, her father, Henry VIII, sent her to preside over the Princess’ Council for Wales and the Marches, just as her uncle Arthur, and her great-uncle, later Edward V, had done. The Marches of Wales was a hazy geographical area stretching along the Anglo-Welsh border. When William of Normandy conquered England in 1066, he made no incursion into Wales, whose border was marked in part by the earthwork known as Offa’s Dyke, but he was happy for his barons to attempt to take lands there. Lands conquered by these men were not held directly from the king of England, and were ruled as far as the lord could enforce his power against either the Welsh princes, or competing Anglo-Normans. Marcher law developed separately from mainstream English or Welsh law. This frontier mentality gave rise to constant low-level warfare, characterised by theft, kidnappings, raids and feuds as the Marcher Lords sought to encroach further into Wales or grab territory from each other. Lawlessness was exacerbated when Edward I conquered the remainder of Wales in the late thirteenth century. The English kings instituted vicious penal laws against the Welsh, particularly in the years following the insurgency of Owain Glyndwr, leading to misery and unrest in the Crown ruled lands, whilst rivalry between the Marcher Lords was a significant contributing factor to the Wars of the Roses. Aware of the problems in the region, in the 1470s, Edward IV set up the Prince’s Council, to be based in the Marches to maintain order, and increase crown authority. A similar arrangement was made in the 1490s for Henry VII’s eldest son, Arthur, Prince of Wales. On Arthur’s untimely death, the Council continued its work. 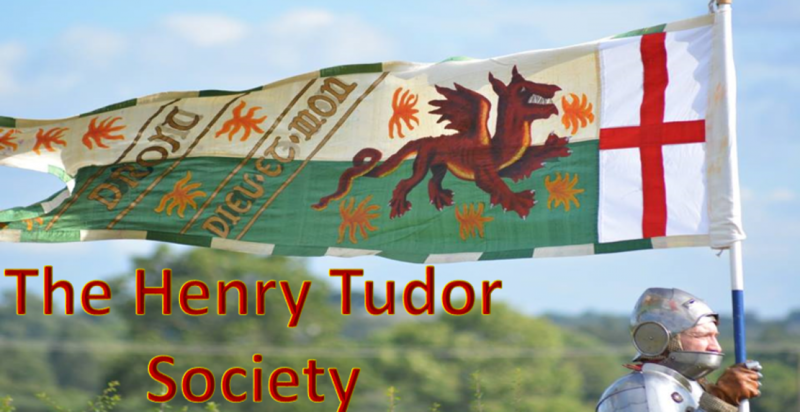 His younger brother Henry, although created Prince of Wales in 1503, was not sent to Ludlow, and, so far as is known, had no involvement with the affairs of the Marches prior to becoming king in 1509. Mountains, which were subject to Marcher law, not English law, but which now fell to the Crown. To manage the problem, Henry, with no legitimate son, decided to recreate the Prince’s Council, now to be called the Princess’ Council, and send his nine-year- old daughter, Mary, to preside over it. Unlike her male predecessors, Mary was not formally created or invested as Princess of Wales but the appointments to Mary’s household, and to the Princess’ Council, refer to her as ‘Mary, Princess of Wales’. In July the Council was formed, under the presidency of John Vesey, Bishop of Exeter, and the Princess’ greatly enhanced household came into being on 12 th August 1525. Mary was to be attended by the greatest in the land. Grand Master of her Household was Henry’s cousin, Thomas, 2nd Marquis of Dorset (although it was an honorary position – Dorset did not accompany Mary to the Marches.) Her Lady Governess was Margaret, Countess of Salisbury, niece of Edward IV, and a countess in her own right. Her great-aunt, Katherine of York, Countess of Devon was also named, but again, this was an honorary post. In all, Mary’s household numbered some 304 individuals, at an annual wage bill of £741 13s 9d. and total costs were around £2,500 per annum. To mark her status, Mary’s attendants wore her own new, green and blue livery, rather than the king’s livery of green and white. Seniority was marked by the quality of the livery cloth – the senior servants received a total of 348 1/4 yards of blue and green damask, whilst lesser servants had cloth of 4s or 3s 4d the yard. The Keeper of the Great Wardrobe, Sir Andrew Windsor, received orders to provide appropriate furnishings for the Princess’ chapel. This included three altars, two pairs of vestments for the high altar, and four pairs for the other two altars, four mass books, 8 communion cloths with their cases, four cushions, two of cloth of gold and two of crimson velvet. He was also to provide a quantity of bedding and cloth of gold. The rest of the household gear included everything from cooking pots and a large washing stool, to the ‘true yard of iron, sealed by the standard’ for weighing and measuring. A box of irons and chains was sent as well, for imprisoning malefactors found guilty by the Princess’ Council. Mary had her own riding horse and a litter, drawn by specially trained animals, which were purchased by James Vaughan, her Master of the Horse. Copious instructions were issued by the indefatigable Cardinal Wolsey to the Council, and to the household. Henry, when he was interested in something, had an eye for detail, so he probably personally approved the ordinances for Mary’s own governance. Lady Salisbury was charged to ‘give most tender regard to all such things as concern the person of the said princess, her education, and training in all virtuous demeanour.’ The Princess was first to observe her duty to God, then to take suitable exercise in the fresh air in places that were ‘sweet and wholesome’ – outdoor exercise was something that Henry and Mary both loved. She was then to practise her music, but ‘without fatigation’. After that, she was to attend to her Latin, her French and her other studies. Mary followed a rigorous humanist educational programem, designed by the European Juan Luis Vives, a friend of Erasmus and other leading scholars. Henry was particularly interested in matters of health, and this translated into specific orders that Mary’s clothes were to be clean and fresh, and her food ‘pure, well prepared, dressed, and served’. She was to eat amongst ‘comfortable, joyous and merry communication’ and everything about her was to be ‘pure, sweet, clean, and wholesome, and as to so great a princess doeth appertain’. Mary began her journey west in mid-August 1525, travelling from Woburn, where she had been the guest of the Bishop of Lincoln, to Reading Abbey, then on through the Cotswolds to Thornbury Castle, once the jewel in the lands of the Duke of Buckingham. Orders had been given for repairs to be made to Ludlow Castle – particularly for roofing. The cost of the works included a 10d tip for a ‘potation’ for the workmen. Mary was again at court in May 1527, when she took part in a masque. Her whereabouts for the summer of that year are uncertain, although she was probably in the Marches until November, when she returned to the south-east. In May 1528, it was decided that she should return to reside permanently ‘near the King’s person’. Although her household was reduced in number, she was still referred to as Princess of Wales, the Princess’ Council continued its work, and as late as March 1533, after Henry’s secret marriage to Anne Boleyn, an appointment was made to one John Uvedale to be ‘Clerk of the Signet to Her Grace (the Princess) in North and South Wales’. picture her accepting the leek gratefully and allowing her imagination to drift back to the time when she was fêted and deferred to as Princess of Wales. Melita Thomas has loved history since being mesmerised by the BBC productions of ‘The Six Wives of Henry VIII’ and ‘Elizabeth R’, when she was a little girl. After that, she read everything she could get her hands on about this most fascinating of dynasties. Captivated by the story of the Lady Mary galloping to Framingham to set up her standard and fight for her rights, Melita began her first book about the queen when she was 9. The manuscript is probably still in the attic! Whilst still pursuing a career in business, Melita took a course on writing biography, which led her and her business partner to the idea for Tudor Times, and gave her the inspiration to begin writing about Mary again. ‘The King’s Pearl: Henry VIII and his daughter Mary’ is her first book. She has several ideas for a second project, and hopes to settle on one and begin writing by the end of the year. I am thrilled to see her reference my cousins and Surnamed ancestors Beatrice and Daffid Rice and their children in this summary. I also had found them and got the tip from my 92 year old father who told me about them in 1978 in a single conversation. the internet had not yet been invented nor the personal computer so I waited until I retired to begin my researching every day in 2010. Daffid ap Rhys is the illegitimate son of Sir Rhys Ap Thomas of Bosworth Field, and his Knight sir William Gardiner of London was married to the Kings 3rd cousin Beatrice, daughter of Helen Tudor and Gardiner. She would have been 6 or so years older than King Henry who caught sight of her at Calias when She as LAVENDAR to Lady ap Thomas was snapped up by the King and sent to Lady Princess Mary’s home in the Marshes at Ludlow Castle? In any event Beatrice and Daffid were rewarded handsomely over the years with homes at Medmenham and Beatrice had a son “Harry” William ap Rice 1521 and a sister Mary 1530. 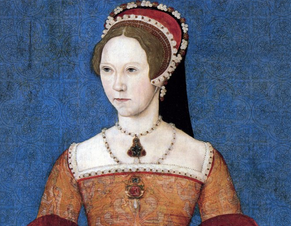 Allegedly they were the Kings children and Mary gave them preference in Education and Wedding Silks over the time until she became Queen…Beatrice was assigned to Mary in 1520 and stayed until the queen died in 1558. Harry was given his own coat of Arms May 2, 1555 and homes. He married a lady in waiting to Mary the Queen one Barbra Fuller or Fulde, they had no children and their estates were given to the Henry Rice heirs of Griffeth ap Gruffed ap Rice and Catherine Howard : Aunt to both queens Anne Bolyen and Catherine Howard. My mother is a great grand daughter of Sir Thomas Howard x 14 removed and Mary Bolyen is our 13th great grandmother. D. Charles Rice 1948 of the Nebraska Rices.